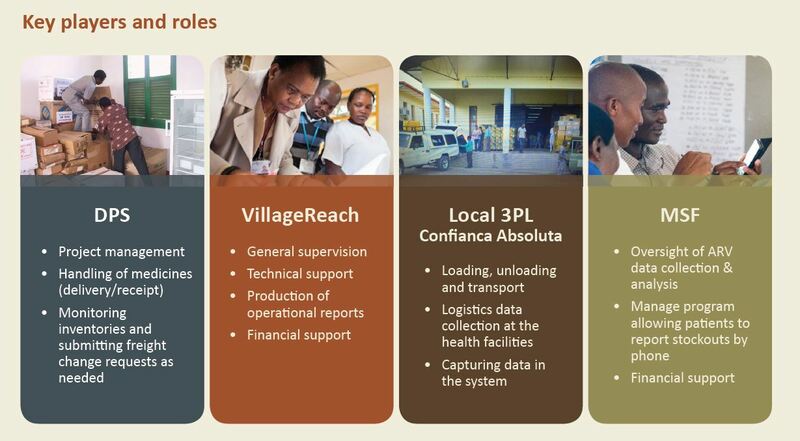 The Transport Services Solution, or TSS, was built on the foundation of a strong partnership. From the outset, a common agenda was set with clear roles and responsibilities assigned. Each partner fills a specific need within the project, but works collectively to continuously improve the distribution system. From the beginning of the TSS intervention, the provincial government demonstrated strong interest in including multiple types of commodities in distributions. Many health supply chains in sub-Saharan Africa are managed for a specific product, but as long-term sustainability takes center stage, new approaches are being considered. “It is important to integrate resources where it matters most, where the final consumer is – the patient,” continues Lopes. To do this effectively, the TSS intervention prioritizes efficiency, focusing on areas like distribution where supply chains overlap. Other processes such as forecasting, quantification and data collection remained separate, as they are more dependent on the nature of the commodities. Understanding how these different systems interact allowed for smart integration. An additional benefit of a strong, local partnership is the ability to actively respond to the needs on the ground. For instance, the intervention was set up to interact with the Juntos Pelo Acesso aos Medicamentos (JAM) project, which empowers patients to monitor and report medicines through a free phone number. When the medicines are in stock again, the patients are notified. Gils adds, “This interaction of patients – as end users – reporting problems of access and informing the provincial supply system is unique in Mozambique and essential to foster accountability in the value chain.” Another example of responsiveness is that Confianca Absoluta introduced new transport routes that cut across district boundaries. Although this helped reduce travel distance by as much as 40 percent, it was noticed that routes were still not as efficient as they could be. GPS tracking has been added to further improve these routes. The six-month assessment also highlighted a number of areas for improvement. Consistent medicine deliveries alone didn’t incentivize health facility staff to submit their orders correctly and on time. Additional training and further simplification of the order process is likely necessary to ensure timely order submission, give healthcare workers more time to attend to patients, and enable accurate delivery. Ongoing maintenance of the cold chain was another challenge cited, and as a result the 3PL is proposing to incorporate cold chain maintenance into their contract. Working with the private sector was not the only quality that made this a unique endeavor. According to Gils, MSF does not typically provide technical assistance to provincial governments or work as a co-funder with another partner, but the experience has been a positive one. She said, “We are happy the collaboration and communication was very constructive. 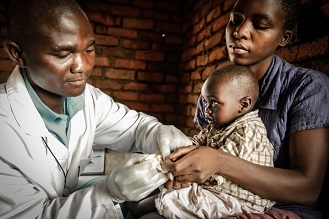 We might consider trying this model in other settings in the future.” This approach to increasing medicine availability at the last mile closely aligns with key elements of the national strategy for improving health supply chains in Mozambique. 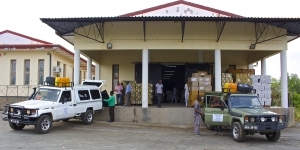 As a result, the Mozambique Ministry of Health — and those in other countries — are watching TSS closely as a potential model for improving supply chain performance.